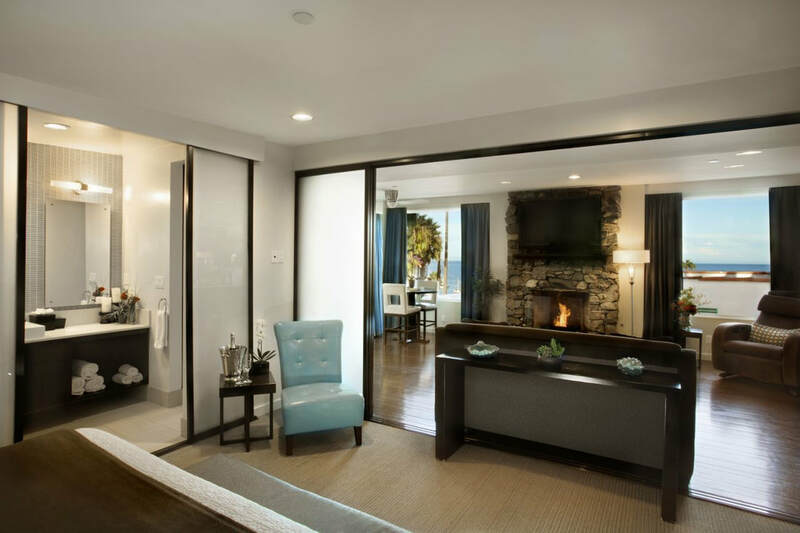 Aurora's intimate rooms and expansive suites provide an ideal destination for a romantic Catalina Island vacation. No matter which room you choose, you'll enjoy our ocean-view roof top deck, cosmopolitan lobby and concierge service. 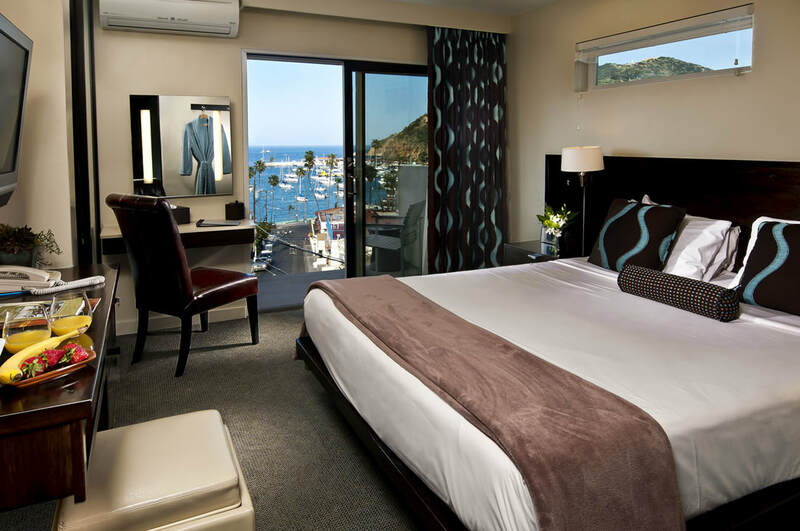 Ocean view rooms on Catalina offer sweeping views of the Pacific and the Southern California mainland. 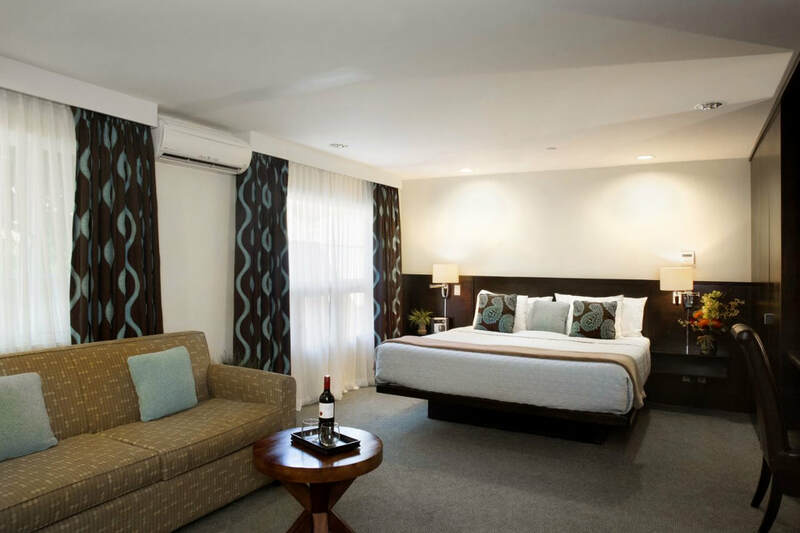 Our junior suites accommodate up to four guests and promise relaxation in a generously sized jetted-tub. Our celebrity suite is one of the largest hotel suites on Catalina Island and includes a fireplace, private sundeck and six-head shower. Standard rooms offer popular amenities like free wi-fi and complimentary continental breakfast. It's no wonder our Catalina ocean view rooms are our most popular accommodation. Perfect for a romantic island escape, these intimately sized rooms offer great views and decadent amenities. 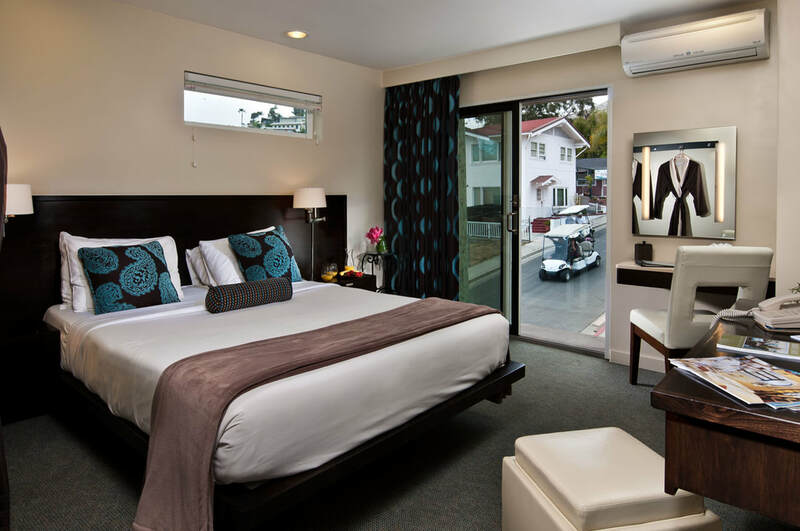 These intimately sized rooms are ideal for a romantic vacation on Catalina Island. ​Rates from $119 to $409. Our celebrity suite offers a private entrance, fireplace and a partial ocean view. Choose a partial ocean or hillside view, both with two beds and jetted tub. Each of our rooms feature Tempurpedic mattresses for the ultimate night's sleep. Enjoy an in-room Keurig, available wine service and complimentary bottled water. Luxurious robes, unique artwork, flat screen televisions and free wi-fi complement your stay.